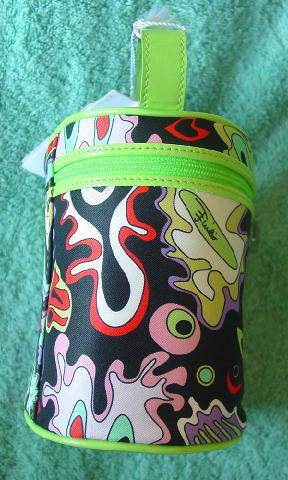 This never-used signature psychedelic prints round case was made in Italy. 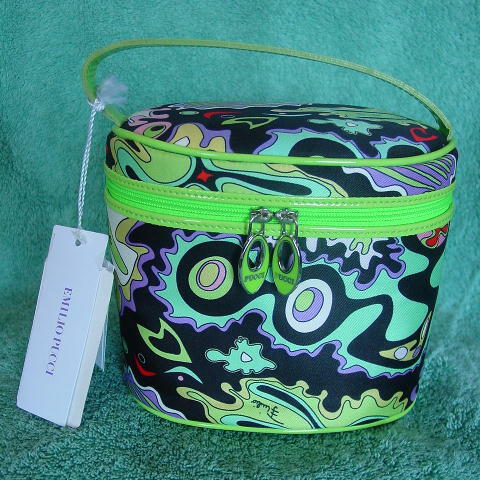 It has a zippered closure around the top lid with double green and silver-tone metal zipper pulls with Pucci on the green sides. There is a 100% polyester black tone-on-tone curved line design lining. 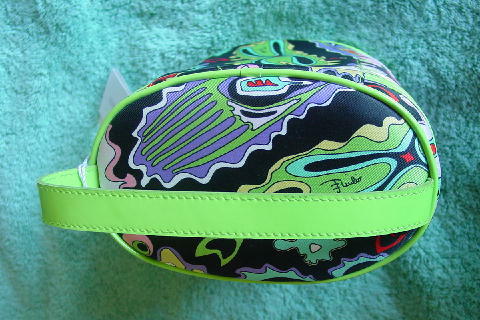 This Emilio Pucci purse has a bright green patent (calf) leather trim, bottom, and top strap. The manufacturer's tag is still attached, as well as the Japanese store price tag - yen 67,200 (approximately $550 US). 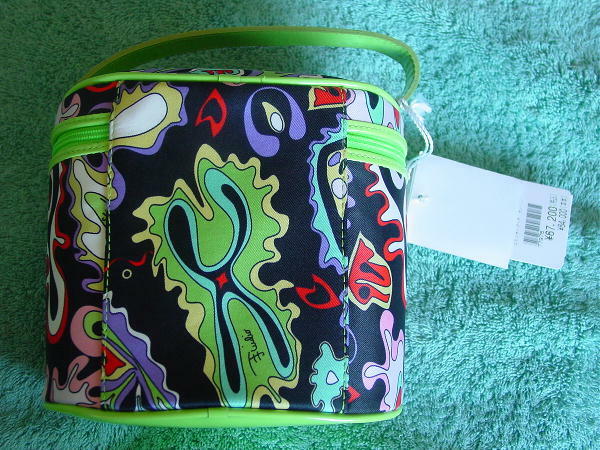 It has its own white 100% cotton made in Italy bag that is 12" high by 11" wide. 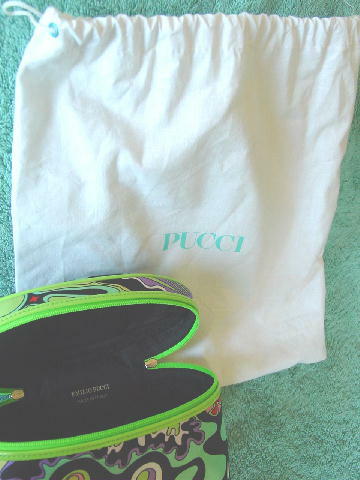 There is a white drawstring with turquoise eyelets and Pucci lettering. 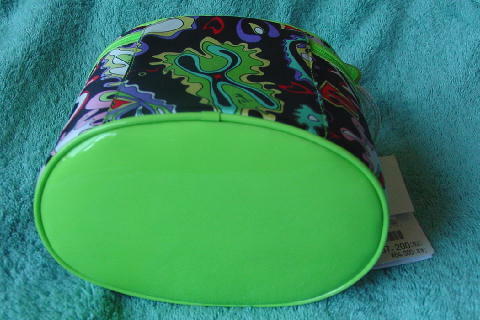 The exterior of the purse is in satin and is in bright green, aqua, white, black, purple, yellow, pink, and red. It can be worn as a purse from daytime into evening.